We are bursting with pride after winning ‘The Queens Award for Enterprise for International Trade 2017’! The Vectric team is based in the UK (Redditch in the West Midlands). From our head office, we develop and support a range of high quality software for CNC routing, milling and engraving. 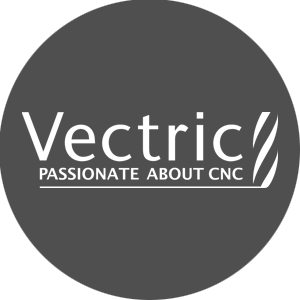 Vectric Ltd. was founded in 2005 by Brian Moran and Tony McKenzie, who previously managed the specialist creative modelling and CNC machining software product range of a large UK CAD/CAM company. In forming Vectric, they applied more than 30 years of combined experience to create an entirely new range of software products that are quick and easy to learn, precise, self-supporting and, importantly, affordably priced. The Lord-Lieutenant of the County, the Queen’s local representative will visit Vectric to present the award, whilst two representatives from the company will attend a reception at the Palace later in the year.